I'll present three puzzles, in stages. Try not to look at the next stage before completing the previous one. 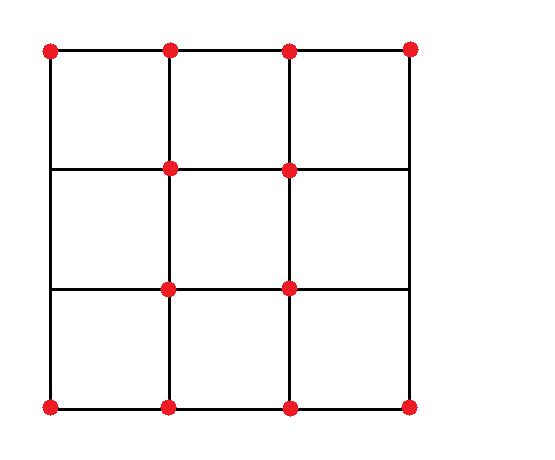 Note that 'a line of four stones' means a line with exactly four stones. Place twelve stones on a table such that there exist six lines of four stones. Place twelve stones on a table such that there exist seven lines of four stones. Move four stones from a certain configuration such that there exist seven lines of four stones. 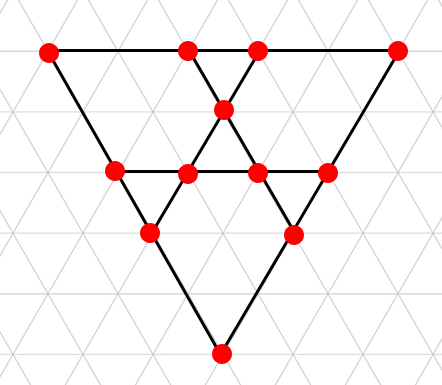 To make the initial configuration, intersect two equilateral triangles to make a six pointed star and put a stone at each intersection of two lines. *(super duper) highly recommended for anybody who likes mathematical puzzles. Although it is ever so slightly more on the maths side than the puzzle side, there are quite a few enigmas. In fact, there are many other interesting problems and content in the book (e.g insert a mathematical symbol between $4$ and $9$ to make a number between 1 and 10.). 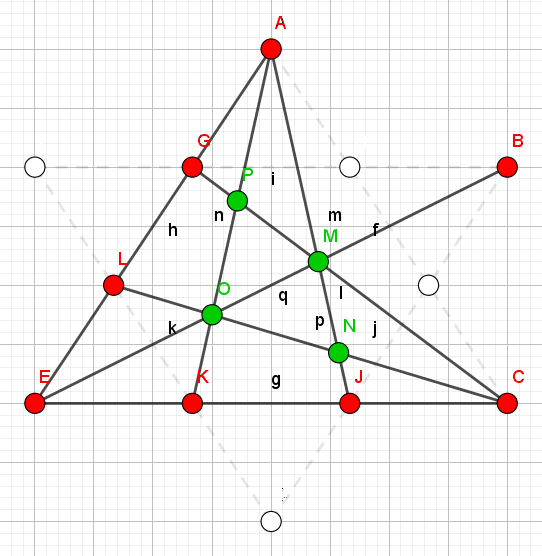 I was just wondering if anybody'd be interested in more 'mathematical puzzles' from that book. 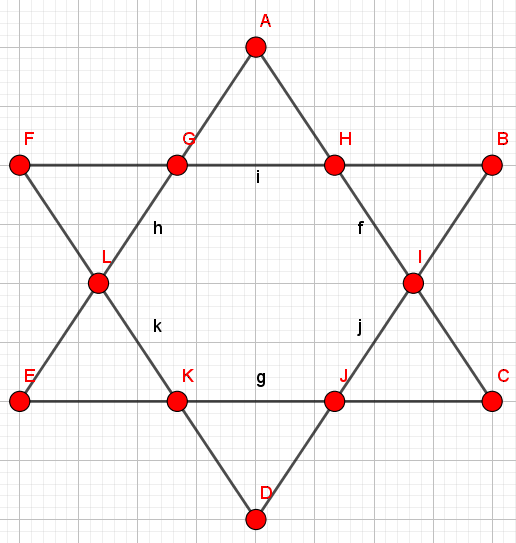 Stones arranged in the shapes of two overlapped equilateral triangles, each side having 4 stones. One triangle right up and the other one up-side down. 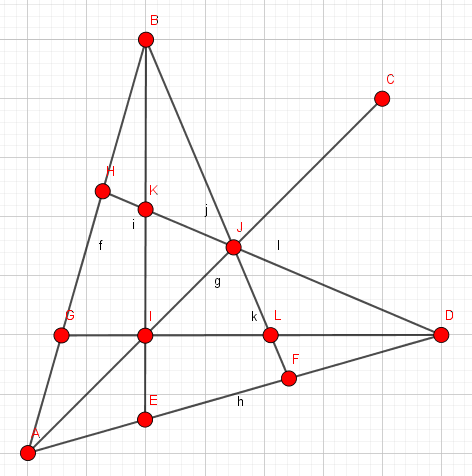 That is the final shape is a star with one stone each at vertices and at intersections of sides of triangles.